The award-winning duo, Dianna Hutts Aston & Sylvia Long, have added a fifth title to their informational science picture book series. (An Egg is Quiet, A Seed is Sleepy, A Butterfly is Patient, and A Rock is Lively). Their books stand out for their simplicity in language melded flawlessly with Long’s delicate, yet very expressive illustrations. This book begins with a simple statement--A nest is noisy. 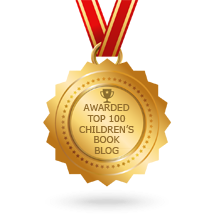 It is a nursery of chirp-chirping buzzing squeaking peep-peeping bubbling babies—followed by brief paragraphs that gives just enough information about different types of nests without overwhelming readers. Aston packs a lot of information about a variety of nests. From birds to amphibians, mammals, insects and fish, this is one introductory science book budding naturalists will not want to miss. Papery is the word that describes a nest for hornets, yellow jackets and paper wasps. A lamprey’s nest is pebbly. I like the two-page spread, A nest is neighborly. We learn that some nest builders prefer colonies. Long has partnered the nests of the Baya Weaver bird that hang down from the top of the page with Black-tailed Prairie Dogs labyrinth of underground burrows below. Every illustration is clearly labeled. As Long did in the other titles, here the front shows a variety of nests and the actual animal that uses the listed nests at the back. And, just like our own households that are noisy and chaotic when our children are little, everything changes once they are ready to fly, swim, or crawl away…Then a nest is Quiet. 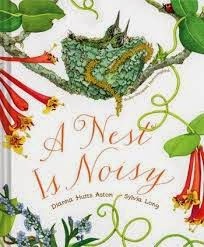 Read another review of A Nest is Noisy by our friend, Alyson Beecher over at KidLitFrenzy. I LOVE all of their books, but I think their first, An Egg is Quiet is still my favorite. Sylvia Long's art work is just exquisite. Can't wait for this title since I'm also a complete bird nerd--thanks for the informative post!! Maria: We're glad you enjoy this amazing duo. 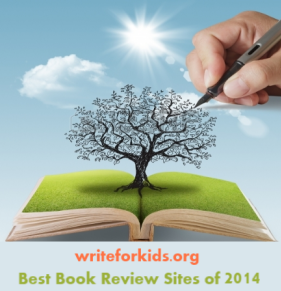 Their books certain encourage readers to take a deeper look at the world around us. Thanks for your comment.